Back to school following Christmas break means a lot of things ... including testing! The end of our grading period is on Wednesday, so I scrambled last week to get as much of my testing finished in order to have data in my report card comments to parents. 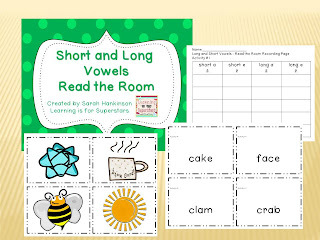 As I finished a big chunk of my testing yesterday, I noticed that my firsties are struggling with identifying patterns in long vowels, as well as nasals in spelling. 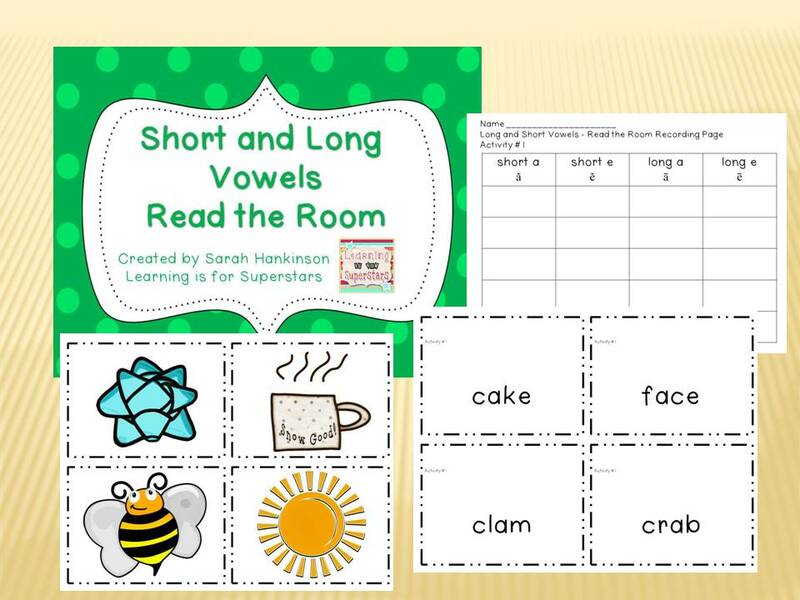 The long and short vowel activity packet I made has 40 picture cards, 20 word cards, and a recording page. Click here to view and purchase the packet. Today I worked on a packet for nasals (mp/nd/nt/nk/ng sounds). 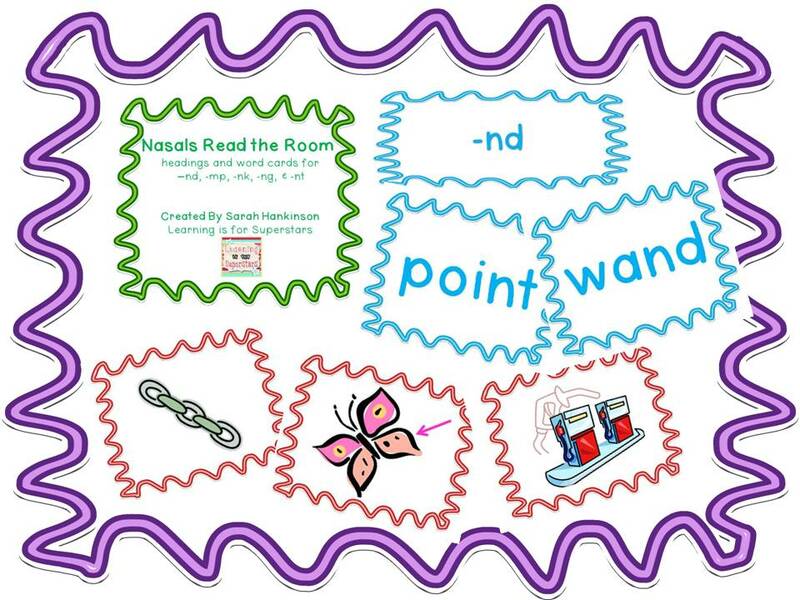 This packet has 20 picture cards and 20 word cards, as well as a recording page. Click here to view and purchase this packet. The first two people to comment and leave his/her email address will receive the packet of your choice! And here's a freebie for ya! 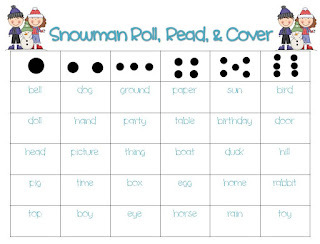 Click here to get 3 snowman, roll, read, and cover word boards! Perfect for my little ones! 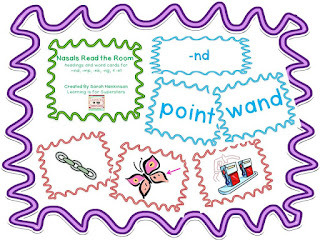 Even though I wasn't one of the first two to comment I just had to say this is perfect for my little one's who are having trouble with this concept. Thanks!